For equivalent regional tools, refer Special Tools. Remove the fuel tank. Refer to Fuel Tank Replacement. Disconnect the electrical connectors (1). Disconnect the evaporative emission and fuel lines (2). Refer to Plastic Collar Quick Connect Fitting Service. 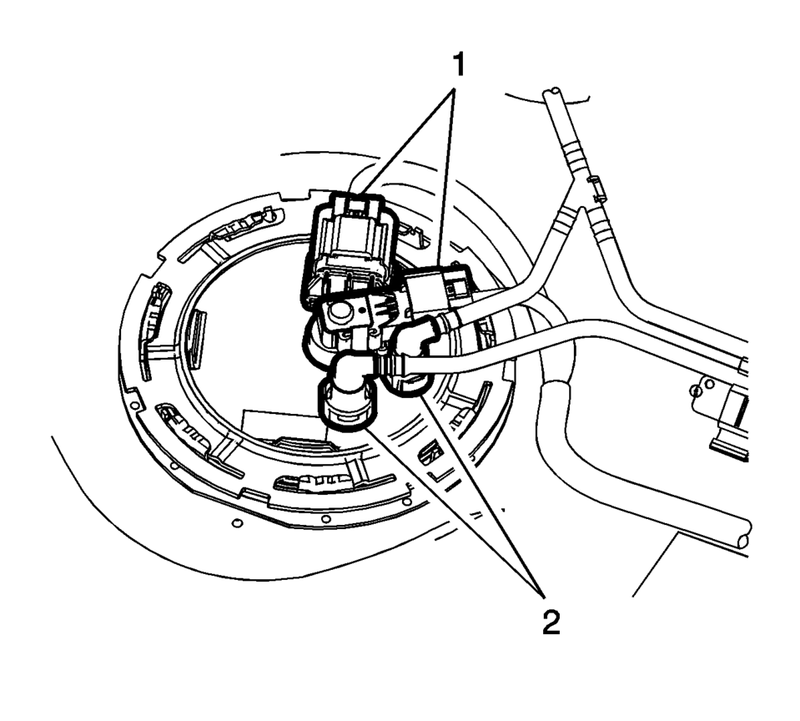 Using the EN-48279 fuel sender lock ring tool, remove the lock ring (1) by turning counter-clockwise. 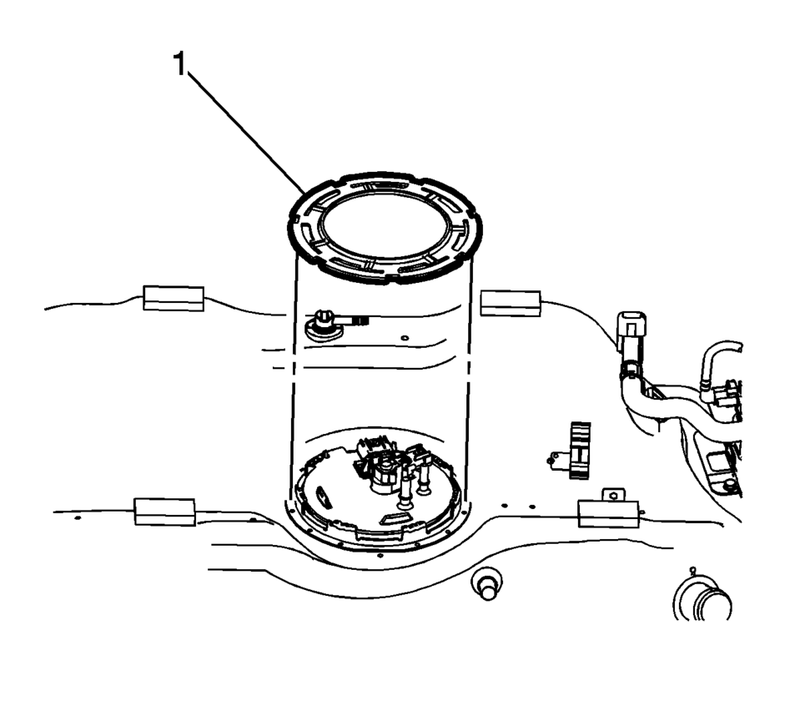 Remove the fuel pump module (1) and O-ring (2). 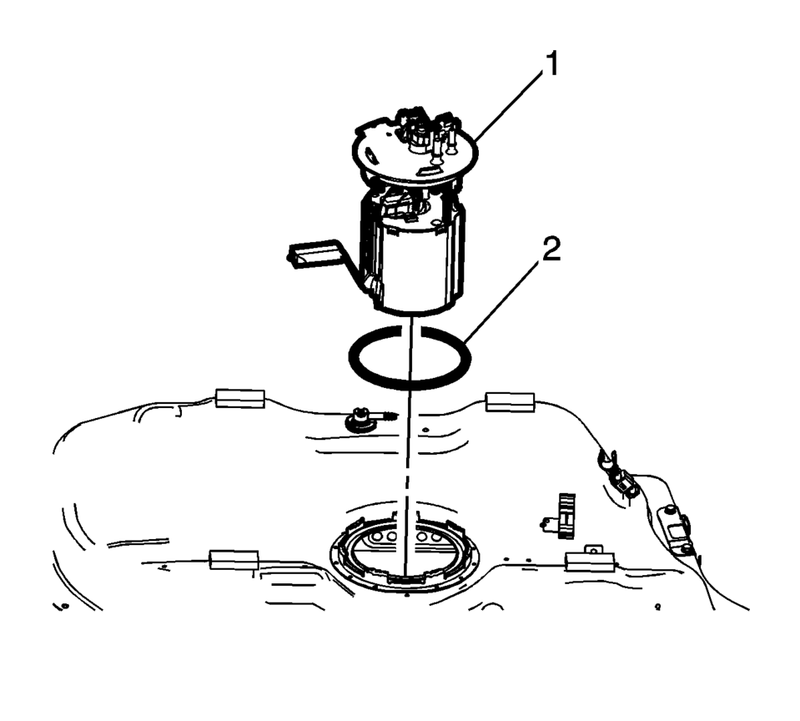 Install a NEW O-ring (2) and the fuel pump module (1). Using the EN-48279 fuel sender lock ring tool, install the lock ring (1) by turning clockwise. Connect the electrical connectors (1). Connect the evaporative emission and fuel lines (2). Refer to Plastic Collar Quick Connect Fitting Service. Install the fuel tank. Refer to Fuel Tank Replacement.